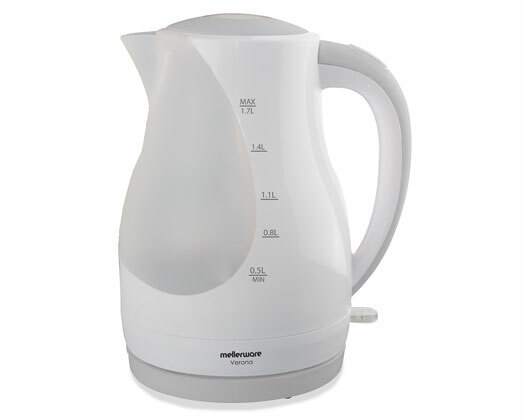 The Verona 1.7L cordless kettle from Mellerware has a concealed heating element and removable filter. It comes standard with an auto shut off and a large water level indicator. The Verona kettle also has a boil dry protection and indicator light switch.